It was a real estate boom like no other. Interest rates were dropping incredibly, homes were garnishing appreciation by the week, the stock market wasn’t moving and first time home buyers were getting their piece of the American dream. Mortgage brokers, Real Estate Agents and New Home builders were raking in the cash. It seemed like it would never end. Month after month, year after year the sales of new and existing homes climbed. Investors threw their money into the housing market and then as fast as it came it went thud. The thud started around November of 2006. It started incrementally with a slower than expected August, a quiet November and the news articles started to reflect which was inevitably going to commence. In January of 2007 the Real Estate Taxes were due and crash it went. What seems to be happening now is a rush to unload. From the outside looking in you can see the stock market rise as the housing market falls. New home builders with still a glimmer of hope increase the price of new homes yet offering larger than expected home incentives. Upgrades galore, creative financing, buyers agents bonuses and yet they continue to build on the land they have allocated for future expansion. If it seems familiar, it is. It has an uncanny sense of 1983 all over again. How did this happen and what makes this housing thud different from the last? There are some minor differences that make this more unique than the last housing crash. Back in the 80’s interest rates were at sometimes 16%. At that point it made sense to try to assume a mortgage that was a lower interest rate and throw your cash into their equity. But it wasn’t realized equity. It was an inflated sense of a market share. As prices dropped home owners found they were in an over valued situation and as the job market suffered they could no longer pull their money out of their house to move on with their lives. It caused a ripple affect of people walking away from thousands of dollars just to save what they had left. Real estate was sold at auction in a manner that you would buy livestock or sheriff’s sales and the late night infomercials were non-stop. “No Money Down” was the catch phrase. You can still find those publications that cite 20% interest rates and how finding a home with a 10% interest rate was a real steal. So what happened in the last decade? Feeding on that premise that no money down is something of a desired situation and interest rates dropping most people would assume the best investment was their home. Out the window went the premise of paying down your note and having a secure position in your most valued asset. For some time it was just a matter of the educated investor refinancing a higher note and gaining equity in their home just by dropping their interest rate. It was a normal progression of an intelligent move. Refinancing could shorten the length of your home loan in some instances by 15 years and also lower your monthly payment. And then arose the hungry new home builder, the starving loan officer competing in a new market and the incredible increase of Real Estate Agents flooding the market. Here’s how it worked. In most instances this was a first time home buyer. They were to purchase a house no money down. There would be two loans. The 80% back loan that was a fixed rate of sometimes as low as 5% and then the front loan. The front loan represented the 20% down that was typically the homeowner’s down payment. That 20% loan was an adjustable rate mortgage that was incrementally to increase over 5 years and then a balloon was to sit waiting at the end. The buyer confused by all this new jargon would ask, and then what? It was explained with the advent of interest rates dropping it was standard practice at that point to refinance that loan with another fixed rate loan or refinance the entire note at one fixed rate. It became such a standard practice that the next step made even less sense. Why not just incorporate your closing costs as well? And they did. Up to 6% of your closing costs could be rolled back into your loan. The buyer would ask what their monthly payment was and assumed that was an affordable note and there you have it. It was a disaster waiting to happen. The second victim was the investor. The investor that in most instances was watching their money sit either in CD’s that showed a dropping interest rate or a stock market that refused to move. The investor would buy these new homes with incredible incentives and it was explained that the home had these upgrades to the standard built home, the home would ofcourse appreciate to where they could sell in 5 years and realize the equity of a moving home market, and then reinvest. They even came with appliances so that they could rent them immediately. Could there be a catch? So here’s where it all plays out now. The new home buyer is in the home of their dreams. And the interest rates instead of dropping are now increasing. So incrementally their payment increases. Then to add insult to injury the home they purchased had an estimated tax base of an empty lot. So the taxes figured at closing were estimated on a fraction of the value of completed construction. Here comes the new appraisal on completed construction and your tax base increases by 150%. These new home buyers revisit that 20% loan and notice that the note is coming due. Struggling to understand the increase in their monthly mortgage payment, coming up with the added cash for their balloon, compounded with the increase in gas and consumable goods is overwhelming. So, as suggested by their loan officer they search to refinance. What was not explained to them is with the rush of foreclosures on the market and millions of people in the same situation, you must have equity to refinance. You must show the ability to be able to support your note. And they are turned away. The investor finds themselves in a new subdivision competing with new home sales and no equity. The builder has built in their contract that they can not erect a sign in their yard advertising the property for sale until the subdivision is completed. There are not to hang a lock box on the door. So basically they must rely on the local MLS to market their property. To add insult to injury now the new homes are selling the exact same house they purchased 2 to 5 years earlier for less than they purchased it and adding more upgrades and incentives to new home buyers. This created a flood of foreclosures on the market. People frustrated are electing to walk away from the home and their good credit rating. Lenders are found at the court house steps now purchasing these homes, fixing them up and reselling them. In some instances the homes are not even rehabbed but placed back on the market sold “as-is, where-is”. That would be the new catch phrase. In order to circumvent the costs of the foreclosure the lending market created an alternative for a homeowner to stop their foreclosure. This system has now been name a “short sale” or a “pre-foreclosure”. The short sale is handled this way. The homeowner without any equity in their home approaches the mortgage company and requests a short sale. They are to fill out financial information substantiating that they are no longer able to pay the note. Upon acceptable of the package the home is then listed by a real estate agent on the local MLS and marketing as a “short-sale” or “pre-foreclosure”. The offers are then submitted directly to the lender and the lender will make the decisive move as to whether to accept the offer or renegotiate. The homeowner at this point is nothing more than a signature on the listing agreement or the closing statement. Once the lender comes to an agreement with a prospective buyer the closing date is set and the house changes hands. In most instances the loan is reported as being satisfied and the homeowner now can relax and move to a more comfortable situation. There are floods of new seminars on purchasing property in this type of distressed situation and even though it is a reliable way to purchase property the best case scenario is ofcourse an end user. This is a particularly good way for a home buyer to purchase a property in relatively good condition for a discounted price. As a real estate agent in the Houston area I have found it difficult to find documentation to send my sellers to to educate them in the process. Most websites are about buying real estate in a short sale situation but I have been limited in finding documentation to support how you would sell such home. Henceforth the publication of this article. As a young adult, there are a few key moments in your life when you feel truly grown up. Graduating from high school, getting your first car, moving out on your ownâthese are the classics. But in the past few decades, another more dangerous (financially, at least) rite of passage has emerged–the credit card. I got my first Visa at the end of senior year, which shouldn’t be surprising considering the card offers started rolling in as soon as I graduated junior high (nowadays, my friends say the offers start arriving for the kids when they’re still in diapers). Problem was, no one ever explained to me how credit worked. I remember my jaw dropping when I opened my first bill and found, to my delight, that I only owed $10–the minimum payment. I knew I had dropped at least a few hundred bucks on textbooks (and CDs and clothes and so on), but I only had to pay a measly ten! I felt like I had won the lotteryâ¦or at least stumbled upon the secret to living the good life. Until a few years down the road, that is, when I left college with a degree–and more than $10,000 in credit debt. I had always thought of debt as something that only happened to wild spenders, the kind of people who buy a new, larger big-screen TV every Christmas. But now I know it can happen to anyone. We’re not in a credit meltdown because Americans are over-the-top greedy or materialistic. I think it’s because no one ever told us how to make good credit choices (or we were too stubborn to listen when they did). Back when my parents were in high school, they had to take home economics. We poke fun at home ec today (between the sewing, cooking, and cleaning, it’s so 1950s homemaker), but those classes taught young adults how to survive in that time period. When I graduated, I couldn’t cook a meal to save my life, had to take my jeans to the tailor for hemming (which I still do), and didn’t really know what debt was. We need to do more to help our kids handle today’s obstacles. And until the public school system picks up on the idea, it’s up to us to teach them–and ourselves–how to spend wisely. If you swipe your cards in front of your little ones, they probably think you’re paying with magic, not money. Make sure they understand everything that goes on the card also goes on the bill–and that real money comes out of your checking account to pay that balance. With older kids, honesty is even more important. You probably tell them money doesn’t grow on trees, but if you treat your credit card like a money tree, they won’t believe you–and they’re likely to repeat your same mistakes. Since you can’t really preach what you don’t follow, you might need to re-educate yourself. If you’re carrying credit card debt, stop. Don’t apply for any new cards or loans. Quit spending more than you earn. Can’t figure out how? That’s a sign it’s time to make a budget and identify places to cut back. Pay your credit card off in full each month, or at the very least, make more than the minimum payment. Maybe you signed up for the low promotional rate when you got your card, but most credit companies hike that rate up to 18-40 percent after the first few months. Ask yourself, would you pay $300 for something that was marked $100 in the store? Of course not! But that’s what you’re doing in the long run when you only make minimum payments that barely cover interest. Credit card companies aren’t giving you a break because they’re generous. They know that the less you pay each month, the longer you will have to keep paying, giving them more money in the process. Wouldn’t you rather keep that cash for your family? All it takes to change your credit habits is motivation. Changing your past is not so easy. If you’re overwhelmed by credit card bills or facing foreclosure,Â you don’t have to go it alone. DebtStoppers can help. Contact one of our attorneys for a free one-on-one debt analysis and find out how to conquer your finances and keep your house. Just because you never passed Credit Card 101 doesn’t mean it’s too late to learn. 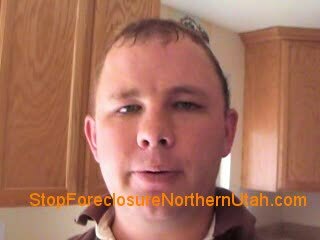 Stop your Utah Foreclosure Now. Are you or someone you know facing foreclosure in the Northern Utah area? You need to go to this web site so that you understand your options of how you can stop foreclosure. 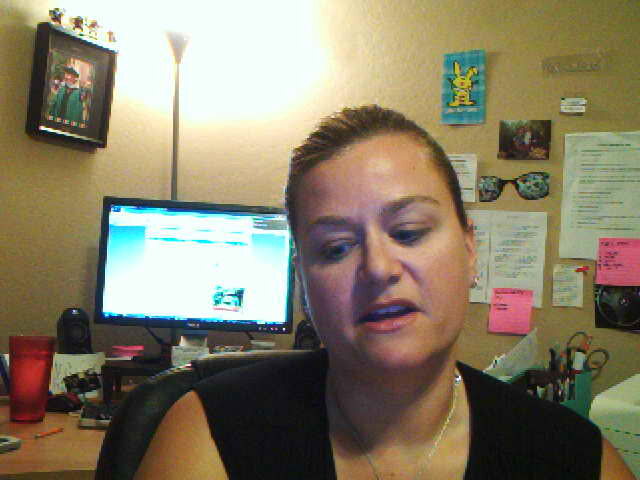 www.foreclosureindustry.com Christine explains the concept of recission and how it relates to foreclosure and loan modifications. Are you facing foreclosure and want to know what to do to stop foreclosure fast? Then you need to download the free report on the 5 fastest ways to stop foreclosure in the Salt Lake City Utah area. Learn your options for stopping foreclosure on your Holland house. Tips and traps from Michigan's #1 Foreclosure Solution & Short Sale Team. Whether you are trying to avoid forclosure in Holland, Zeeland, Grand Haven, Allegan, Douglas, Saugatuck, Fenville, Hamilton (or any other part of Ottawa County or Allegan County), this video will help you. Contact us for your preforeclosure or short sale needs in Dane and Rock County Wisconsin. Will Christine O’Donnell’s Lies About Her Federal Tax Lien and Mortgage Foreclosure Be Unmasked Soon? Oh by the way, she was still listed as the head of the anti-masturbation organization S.A.L.T. as late as 2009….but that didn’t stop her from saying today on NBC apparently it was a ‘youthful’ thing and she changed. If she is able to explain away the lies will her behavior still be defensible? Wow, I didn’t know all that. I think she’s already been unmasked. But seriously, she’s not responsible with money. That is a concern when you are dealing with BILLIONS of dollars. I seriously doubt the voters of Delaware are going to let her represent them. If I am on the title of my home but not on the loan, can I stop it from going into foreclosure or short sale? Yes of course you can. Not being on the mortgage does not prevent you from paying it. You are legally allowed to bring it up to full or even pay it off entirely if you want to. A home loan, or mortgage, is most simply described as a loan taken out so that you can purchase a home. Shopping for a home online can make the borrowing process simple and painless. However, you do need to be cautious about potential scammers and low-quality loan companies. To obtain a home loan you will need to be at least 18 years old and have the income that is required to be able to easily afford the loan payments. While many mortgages are placed on existing homes, you can obtain a home loan based on units, condominiums, new construction or land packages. Home loans are usually taken out for 15 or 30-year terms and will be based on your monthly payment, the principal and interest rate. You may also find that some lenders require that your mortgage payment also include property taxes, insurance, etc. 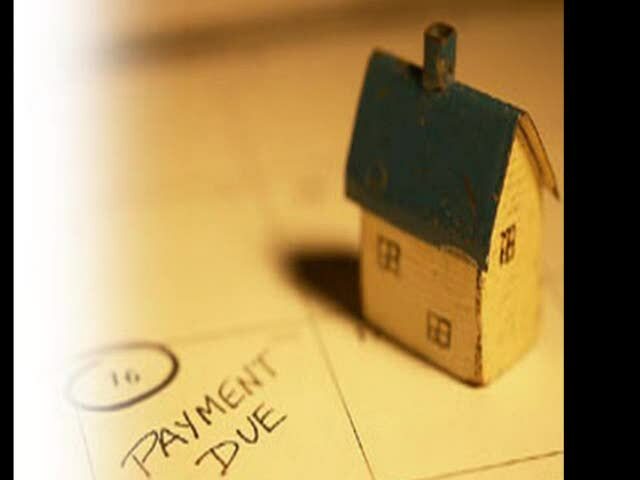 When applying for a home loan your credit report will be reviewed and you may be required to provide a number of other details, including: Employment and income records, Tax Returns for the last few years, List of assets, List of liabilities and what you owe, Your budget showing monthly living expenses so that you can demonstrate an ability to pay. With this information you can determine the kind of home loan and size of the right mortgage for you. In some cases, you can obtain a pre-approval or pre-qualified certificate, which shows how much you can borrow so that you can then shop for homes in an appropriate price range. To get some of the personal loan deals, the lenders may require you to have a pretty good credit record. Lenders are no longer interested in taking risks; they want to play safe in the present uncertain financial conditions. It is important to know what the lenders actually look for before they lend you money. Some of the parameters for sanctioning personal loans are credit rating, DTI ratio, monthly income, loan tenure and the amount of loan. The basic things come to your repayment capability and the potential earning capacity. The best loan deal is not necessarily a loan offer that has the lower rate of interest because there are many other things that count. What about clauses like early repayment penalty, arrangement fee, brokerage charges, etc? These things define the overall cost of the loan deal and your decision should also take into consideration these aspects. * Do not give any upfront fees to loan modification or stop foreclosure companies boasting âattorney basedâ, âattorney backedâ or âattorney assistedâ! * Do not pay for a forensic loan audit unless it is performed by a Law Office, an attorney is the only person that may use lending violations as leverage! * Do not use a loan modification company unless they have an upfront fee agreement approved by the DRE and offer a 100% money back guarantee! * Do not trust just anyone with your difficult situation; contact a Law Office and hire an attorney who specializes in Loan Modification and Loss Mitigation services. They are the skillful people who are specialized in this task.